I’ve just finished a couple of new paintings in my In Our Veins series. 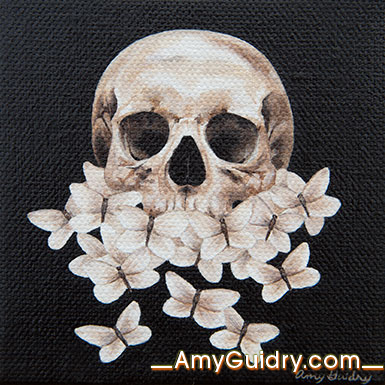 These are part of the subset of smaller paintings in the series, both acrylic on canvas, 4″ by 4.” Both paintings refer to our connection to nature, with Spring linking flora and fauna and Rebirth referring to the life cycle. 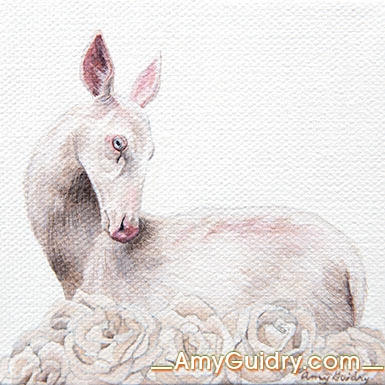 View them online here: http://amyguidry.com/rebirth.html and here: http://amyguidry.com/spring.html.